now we want to know how much crypto were spend ,we ico for blockpay eco stealth,not for other ,if someone left,the ico is dismissed, who can decide for us,weonly want 40bts for a blockpay back. We also created two tutorials for the Payger Wallet and the Payger WooCommerce Plugin. thank you for your questions and your long-term support. Every day I and my team are working hard to create the value you asked for. With Payger we created a unique and very powerful non-custodian multi-currency wallet based on the BitShares Blockchain. You find no easier access to the BitShares Ecosystem than with the Payger Wallet. With our user-friendly design, you can manage, trade and transfer up to 50+ Crypto Currencies, 5+ Stablecoins within seconds. We completed what Moonstone.io was trying to do in 2015 and created a save, easy and modern Browser Wallet for the BitShares Community and beyond. While most BitShares projects are focusing on the DEX and building interfaces for traders, we at Payger moved to the next level and created an interface for regular users who want to just simply manage their funds, easily transfer crypto to their friends and want to exchange BTS to BitCNY and more over the BitShares DEX. Payger is leading the next waves of businesses building on the BitShares Blockchain. Further, we also created the first WooCommerce Plugin now available for millions of online stores worldwide, that is directly linked with the BitShares Blockchain as Merchants who use the Payger Merchant Services are receiving BitCNY and BitUSD etc. as payout currency. That means Payger is creating real value for the BitShares Blockchain and the BitShares community as we drive consumer adoption and bring real business on our platform. Please also join our Telegram channel for additional information. As mentioned before you can see all the financial details in the link provided above. All expenses are audited and public visible via the blockchain. Please ask Ken for status updates about stealth, as we are not involved in stealth anymore. Can I use payger's woocommerce plugin with any BTS DEX asset? It'd be great if I could use either/or OPEN.GRC & RUDEX.GRC to buy goods online, since GRC doesn't currently have any payment processor support at the moment. Yes, we can enable that with one of our next plugin improvements. I am adding you to the list of new accepted assets. This week I have fantastic news for all Payger Users. We finished the integration of the Cryptobridge Bridge in the Payger Wallet for depositing and withdrawing coins. Payger Wallet Users are now able to deposit 1:1 Bitcoin into their Payger Account and will receive a Bridge.BTC in their accounts for free. No Deposit fees applied! With the latest upgrade Payger Wallet 1.0.428 we are extending our functions and you can now deposit Bitcoin, LTC, Dash, Ether and many more 1:1 into your account. This is a big improvement over the last version, previously users had to convert their deposit BTC into BitCNY or BTS to top up their accounts. Now they can deposit BTC directly and receive the full value in their accounts! We are now supporting in total 63 Tokens including multiple stablecoins. More coins will be added over time and on request. Here is the full list. We continue to support BitAssets like BitUSD, BitGold, BitSilver, and others in the Payger Ecosystem. Users can buy/sell BitAssets via the DEX and use them as a store of value. We are looking forward to a constructive community approach to reset and active the settled BitAssets as soon as possible. 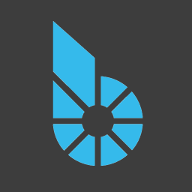 The BitShares BitAssets are one of the key USP for this Blockchain and we all need to work hard on resetting the lost assets. Where Payger could fit into the Gridcoin ecosystem is within a theoretical commercialized BOINC project. BOINC projects perform volunteer distributed computing, by adding a paywall and a generic compute task submission process, one could spin up cloud computing businesses (offering compute in return for crypto) with effectively free computing power to compete against Golem, iEXc, sonm, and traditional cloud VPS businesses. The changes could take place within the existing (decades old) BOINC web server code which is programmed mostly in PHP and C++. Hi CM, it was great meeting you in Amsterdam too. Sure we can add RUDEX.GRC for trading. I will add to our coin list and inform you once we added the coin to Payger. Today we are super excited to announce our partnership between Net Element and Payger to release three mPOS terminals to the US and Europe markets that accept crypto payments at the checkout! 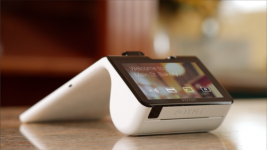 The Poynt, Poynt 5 and the PAX A920 are now available for orders. Send us PM for details. The first real point of sale terminals connected with the BitShares Blockchain using BitAssets. 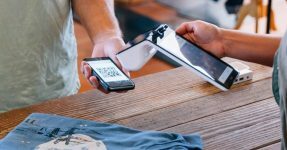 Through our partnership with the payment service provider Net Element we can now offer retail merchants the full payment package. Enlisted merchants can now accept cash, credit/debit cards, and Cryptocurrencies at the point of sale, powered by Payger. Stablecoins support for USDC, GUSD, EURS are coming soon! We also have the support of BitAssets for payments on our roadmap. Currently, we are already using BitAssets for merchant settlements. More info in our partnership announcement https://payger.com/blog/payger-and-net-element-collaborate/ and our latest newsletter https://payger.com/blog/january-february-newsletter-2019/ . We also updated our roadmap for 2019 https://payger.com/roadmap/ ! As CZ says, Keep building! !